Is your company in need of a website redesign? We've compiled the best of our own content in one place to help you prepare for the project and get caught up on the latest in the digital world. 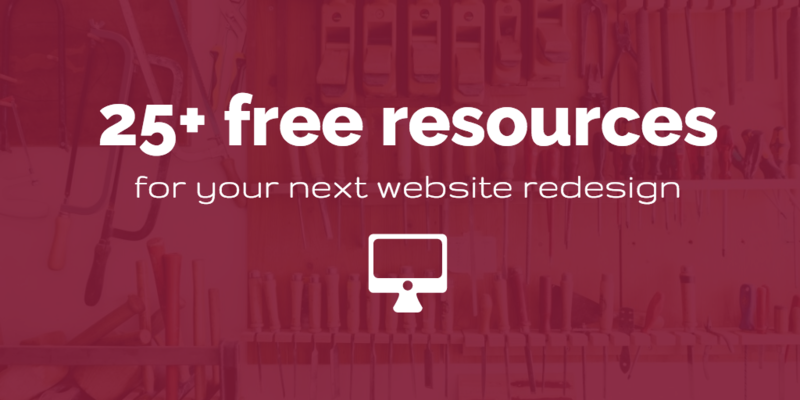 Before diving in, I encourage you to grab a free copy of our 10-step redesign ebook. It lays out the ten steps you should take to prepare for the project. You can then use the posts below to dive deeper into each subject. You need to understand AND prioritize your audiences before understanding the functionality and content needed on your new website. We encourage building in-depth audience personas, check out our tips below. It's no secret that content is the most important part of any effective digital marketing strategy. We take a four-pronged approach to content here at ArcStone - keep as is, leverage, consolidate or remove. Here are a few posts and tools to help take stock and re-organize your content. The rise of mobile and interactive websites has changed the game. Check out the following posts to determine whether it's time for you to redesign your website, get some insight into the latest trends, and some advice from some of our own in-house designers. There's nothing worse than logging into your analytics to find out that things haven't been set up properly. A lack of data or insights to draw from can make a redesign difficult. Ensure things are set up and tracking properly so that your new web design is based on real data, not just instinct. SEO is Still a Thing! There is no doubt SEO has changed since you last redesigned your site. See our latest thoughts on ranking factors, keywords, trends and more. In our opinion, the #1 key when finding the right agency partner for your website redesign is culture fit. Get an inside look into who we are as an agency and some tips on selecting the right agency for your business! Great tools and hacks can bring your redesign prep to another level. Here are apps and tricks we've used to increase our efficiency. While you're here, check out our free eBook and start generating leads like a pro!